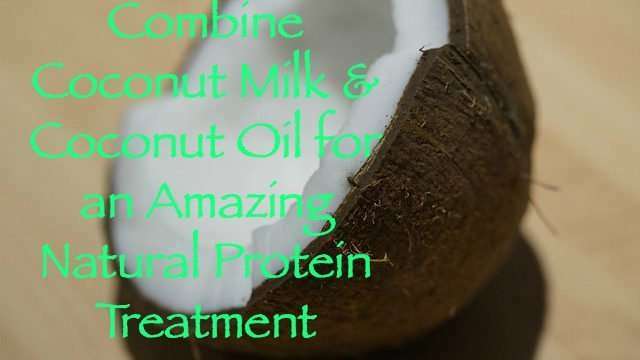 Coconut oil is one of the most versatile oils and is very popular in hair and skin care. It is derived from the white fruit located within the coconut. The flesh is extracted, dried and the oil extracted from it. Coconut oil contains lauric and capric acid making it one of the best oils for hair. It reduces protein loss from the hair and is one of the 3 oils that has the ability to penetrate the hair shaft. 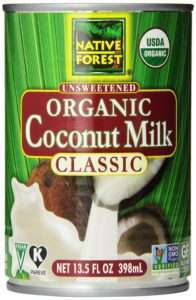 Coconut milk, on the other hand, is made by grating the white flesh and soaking in hot water. When the coconut cream rises to the top, it’s skimmed off. The rest of the liquid is then run through a cheesecloth to produce coconut milk. This liquid is thick and can be used for desserts. You can buy coconut milk in grocery stores or make your own at home if you have the time by purchasing coconut flakes. 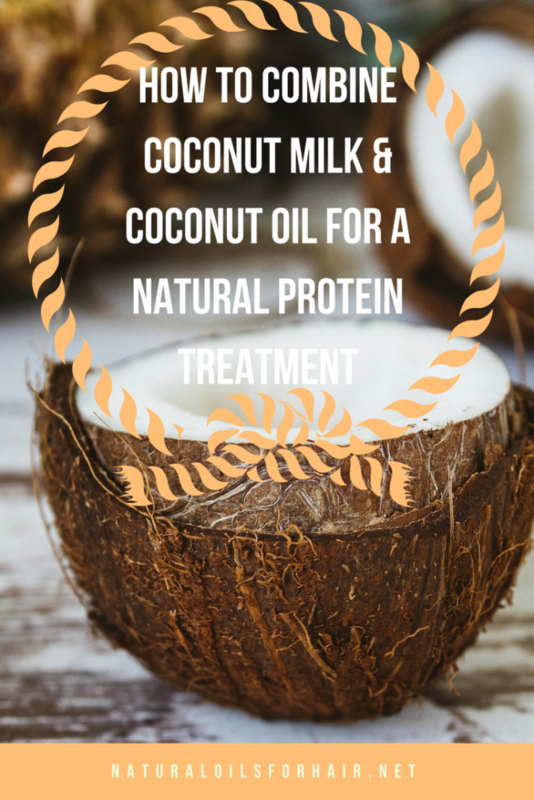 Combining coconut oil and coconut milk gives a powerful protein-rich mixture that will strengthen then your hair and help restore moisture. If your hair is experiencing excessive dryness and/or breakage, this is a natural treatment you should look into. I have outlined two nifty recipes below. 1 can of coconut milk. If you aren’t in a dry environment, you can add 2 tablespoons of honey. If you live in a humid environment, substitute the honey for 2 teaspoons of vitamin E oil. 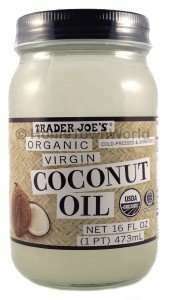 Heat up the coconut oil slightly then stream in the coconut milk, whisking with a fork. Add the honey or vitamin E oil and whisk some more. Apply to your hair in sections then twist each section. Cover your hair with a shower cap or cling film and leave on for 45 minutes – 1 hour. Rinse out. Wash with a mild shampoo and condition as usual. A few tablespoons of your favorite deep moisturizing conditioner. The best recommendations for this inclue Trader Joe’s Tea Tree Tingle Conditioner, Aubrey Organics Honeysuckle Rose Conditioner, Elucence Moisture Balancing Conditioner, Jessicurl Deep Conditioning Treatment and SheaMoisture Raw Shea Butter Deep Treatment Masque. Shampoo your hair as usual and squeeze out excess water. Combine ½ cup of your favorite deep conditioner with enough coconut milk for your hair. Mix thoroughly. Heat up the coconut oil slightly then pour slowly into the conditioner and coconut oil mixture as you whisk with a fork. When the mix is creamy and well blended, apply generously to your hair in sections. Cover with a shower cap and sit under a steamer for 30 minutes. Rinse out and style your hair as usual. You can also alternate weekly with the pre-poo recipe. Coconut milk is thin and the treatments can be a bit messy so use an applicator bottle to combine the recipes and always drape a towel around your neck before application.